← EDU Designs Reaches Kids with Special Needs! When the first mouse was put in the bucket he drowned after just a few minutes. When they put the second mouse in the water they saw him start to flounder around the same time the first one had. But this time they reached down and lifted him up out of the bucket for a second – just long enough to let him see over the bucket – and then returned him to the water again. He swam for almost a half hour more before he finally lost strength. It seems cruel to even think of doing an experiment like that. I do hope they let him live. The second mouse, that was LIFTED up, was given a moment of HOPE, where he was able to see ABOVE the bucket, and that made all the difference. We MUST have something better to look forward to, or WE WILL sink. Do you remember how much fun it was to do art and music in school when YOU were a kid? New pathways were growing in your brain as your imagination was stimulated! Due to budget cuts today, many children in schools don’t get that chance to do art anymore, despite clear proof that the arts improve cognitive development – and make an impact FAR greater than having a picture to put on your refrigerator door. 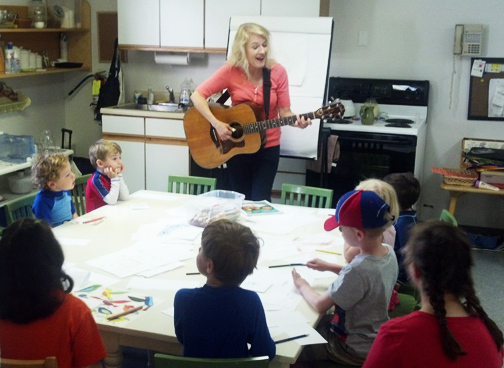 Here a wiggly group of PreSchoolers gets to learn about Art AND Music! Lifting people up – ‘above the bucket’ is something EDU DESIGNS does with tools to Improve children’s character through the arts and stories. GoMommyGO© (part of EDU DESIGNS) gives practical tools and HOPE to parents struggling with the awesome responsibility of shaping their child’s life in their most vulnerable years. Have you heard the saying, “THE HAND THAT ROCKS THE CRADLE, RULES the WORLD”? We really DO have the power to influence the next generation to be better human beings. It is idealistic. And being a parent can bring out the best in us. But when you ARE a parent, you know that raising children can bring out the worst in YOU at times, too. WE NEED HELP! Nobody can do it alone. We all need each other. If we struggle together it will lighten the load for all of us. Imagine This: If just ONE person was made happier today because of something YOU did, and and if each person helped ONE OTHER person, everybody would touch EVERYONE’S life eventually. So don’t give up. Do your best. Don’t worry about the rest. 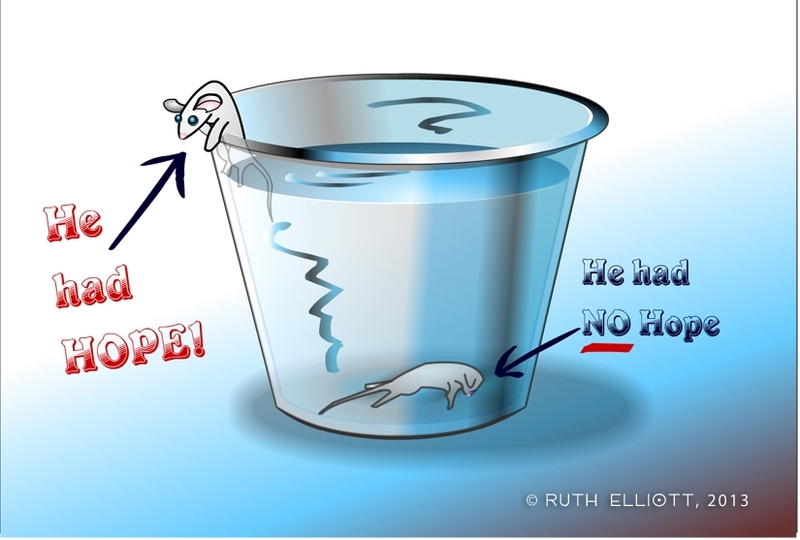 This entry was posted in Art, Character Development, Education, Ethics and Character and tagged bucket, drown, hope, lab experiment, life and death, mice, mouse. Bookmark the permalink.